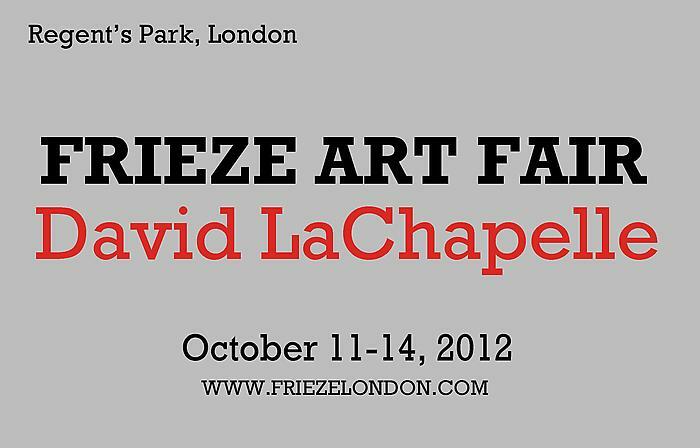 Frieze have announced today the participating galleries for the organization’s first New York fair, which is to take place 4–7 May 2012 in Randall’s Island Park, Manhattan. Sponsored by Deutsche Bank, Frieze New York is a carefully selected presentation of over 160 of the world’s leading contemporary art galleries. A strong American and European contingent of galleries is joined by those from the rest of the world. Galleries that are regular exhibitors at Frieze Art Fair London are accompanied by those new to Frieze, in particular the young galleries included in Frame, a section dedicated to those established less than six years ago. The New York fair introduces Focus, a section for galleries opened in or after 2001 showing a presentation of up to three gallery artists. For those looking to make new discoveries Frame is selected on the basis of a proposed solo presentation. Frame allows visitors and collectors to see work by artists who have not previously benefitted from an international platform to show their work. The Frame galleries’ selection has been advised by curators Cecilia Alemani and Rodrigo Moura. Frieze New York will also benefit from a curatorial programme, Frieze Projects and Frieze Talks both of which will be curated by Cecilia Alemani and produced under the auspices of the non-profit arm, Frieze Art Inc.
Frieze New York will take a similar approach to the London fair, which brings an international focus to London every year. Designed by New York-based SO-IL Architects, Frieze New York will be housed in a bespoke structure and located in a unique setting overlooking the East River.